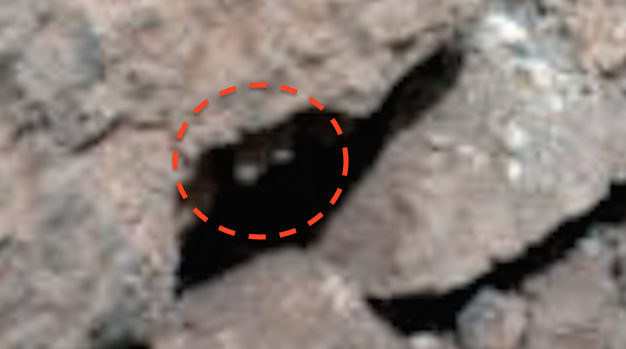 UFO SIGHTINGS DAILY: Two Pill Like Objects Sticking Out of Shadows On Mars, March 2016, UFO Sighting News. 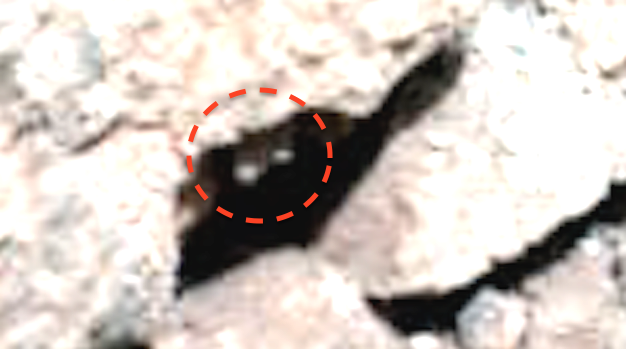 Two Pill Like Objects Sticking Out of Shadows On Mars, March 2016, UFO Sighting News. I found something unusual near the tread marks of the rover. 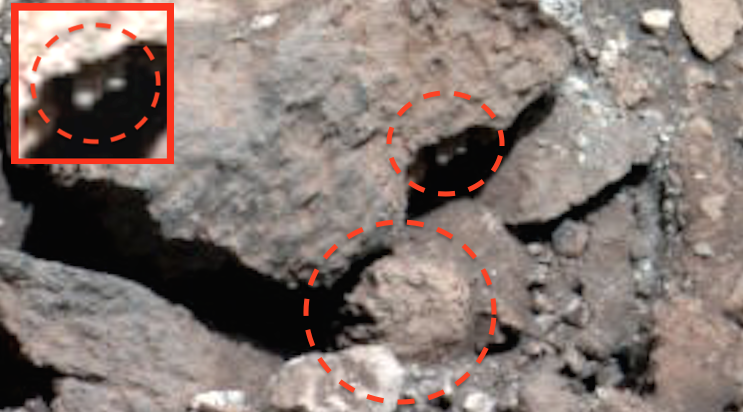 Under the ledge of a rock, hidden by the shadows were two long, thick metallic tubes coming out of the rock. They are hanging so the bottom doesn't touch the ground, but The perfection of its pill shaped surface is extraordinary. Now these are only about 2 inches long, but their symmetrical shape says that they are made with technology and not by nature. 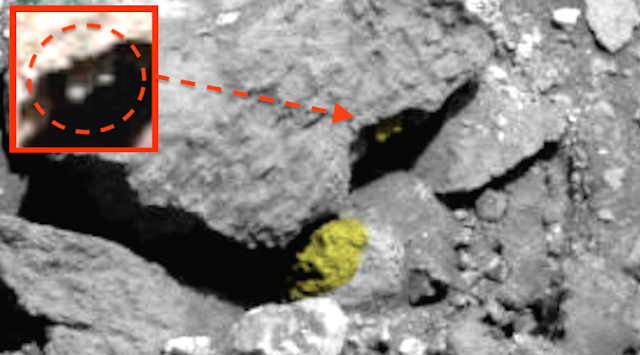 It is baffling Also I found a face looking sideways to the left of it. The face has good detail, but pitted from age.